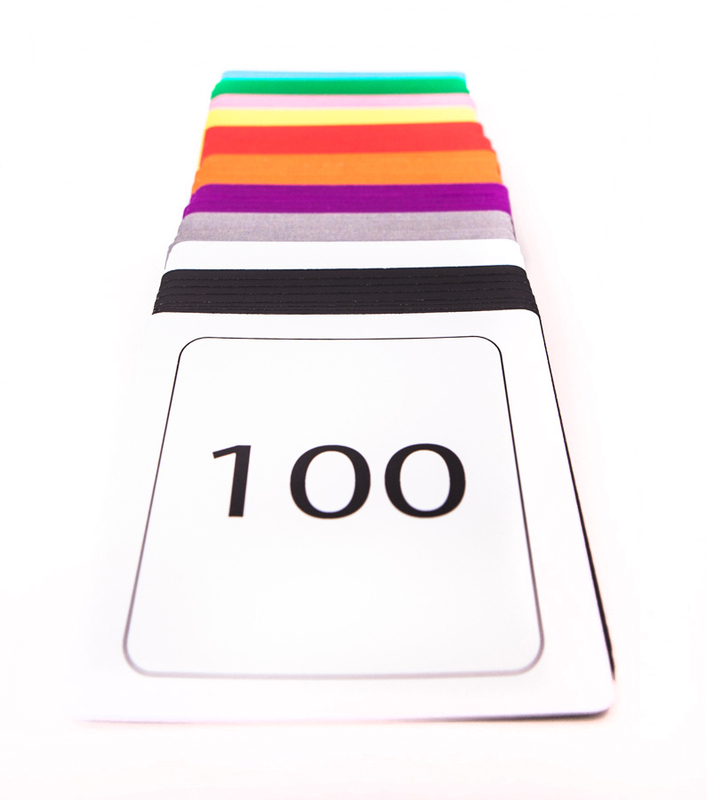 Play the included games with the Family Cards to learn 0 to 100. Playing cards numbered from 0 to 100. 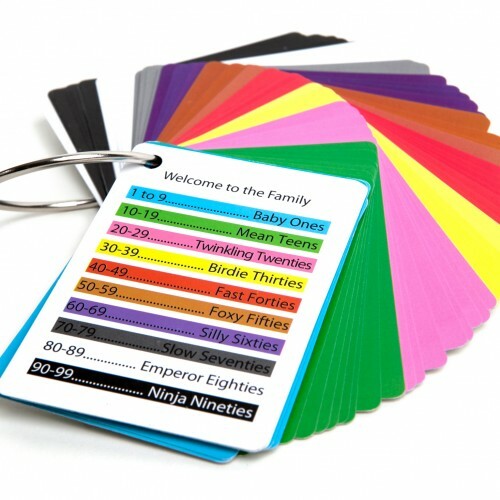 Each “family” of ten such as the ones (1 to 9) has a distinct color and corresponding name to help children remember the numbers in that family. Game cards are included. Why did we create it? This is a favorite for kids of all ages. 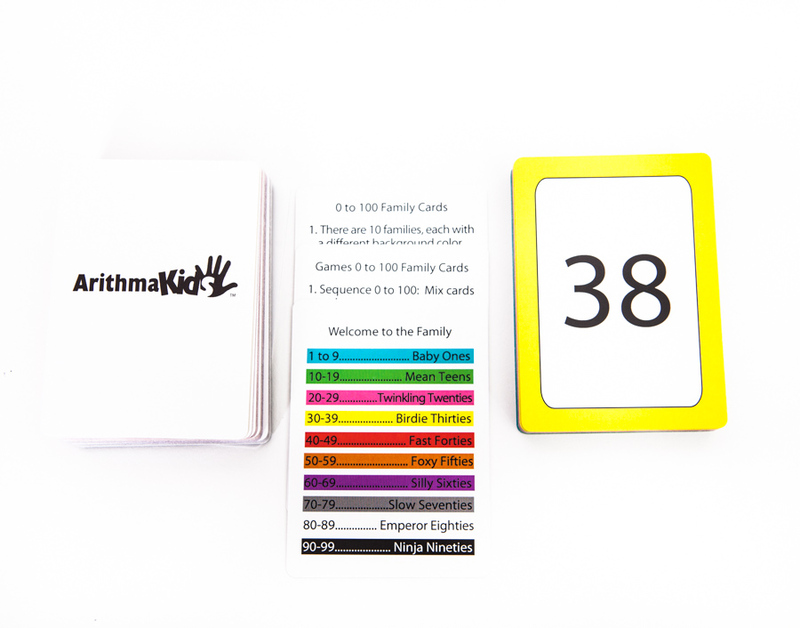 This teacher-designed product was first created when we saw a need for a set of 0 to 100 cards that could easily be broken up by families. Naming the families and coordinating them by color accelerates recognition and makes learning numbers much more fun. Family Cards have been adopted at elementary schools across the United States. 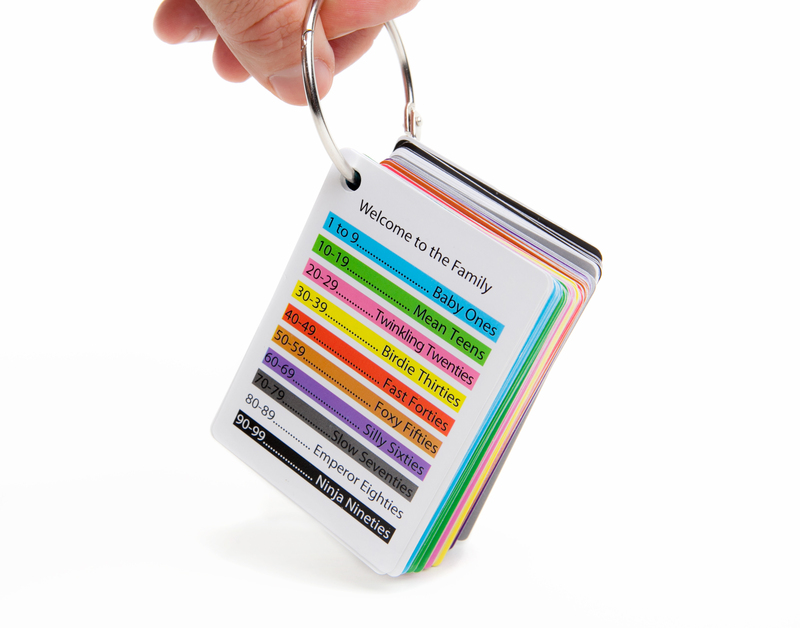 The Family Cards can be used one-on-one, in a small group and in a whole group. Choose specific families to focus on for sequencing or as a support for building fluency in counting forwards and backwards. 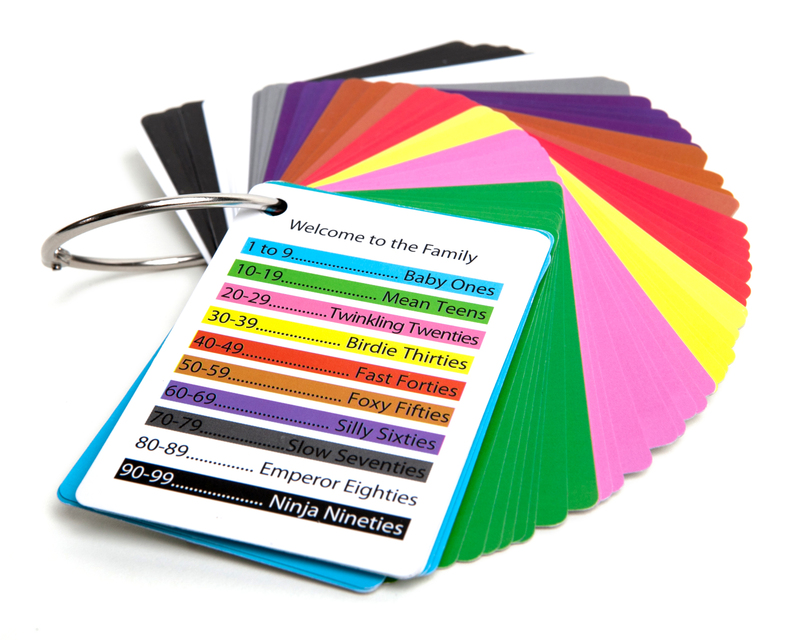 The Family Cards are great for working with number identification and number reversals or confusions. CCSS.Math.Content.K.CC.A.1 Count to 100 by ones and by tens. CCSS.Math.Content.K.CC.A.2 Count forward beginning from a given number within the known sequence (instead of having to begin at 1). CCSS.Math.Content.K.CC.C.7 Compare two numbers between 1 and 10 presented as written numerals. CCSS.Math.Content.1.OA.C.5 Relate counting to addition and subtraction (e.g., by counting on 2 to add 2). CCSS.Math.Content.1.NBT.C.5 Given a two-digit number, mentally find 10 more or 10 less than the number, without having to count; explain the reasoning used.